Dacor dishwasher getting an error code? 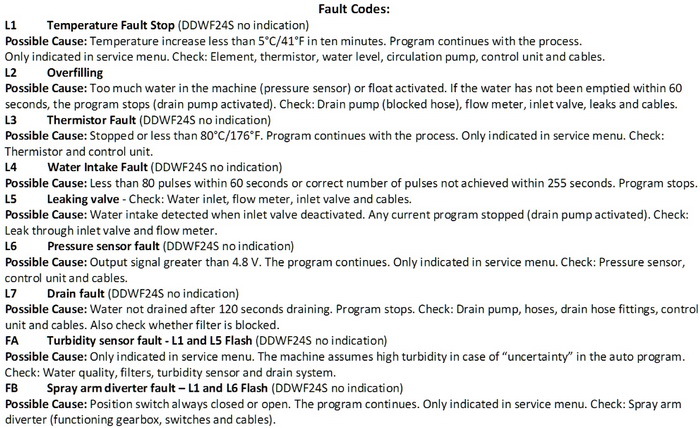 Here is a list of all error/fault codes for Dacor dishwashers. The error codes that display on your Dacor dishwasher are informing you the problems or the problem part that is causing the fault. Knowing what the error code means will assist you in troubleshooting which part to clean, repair, or replace. 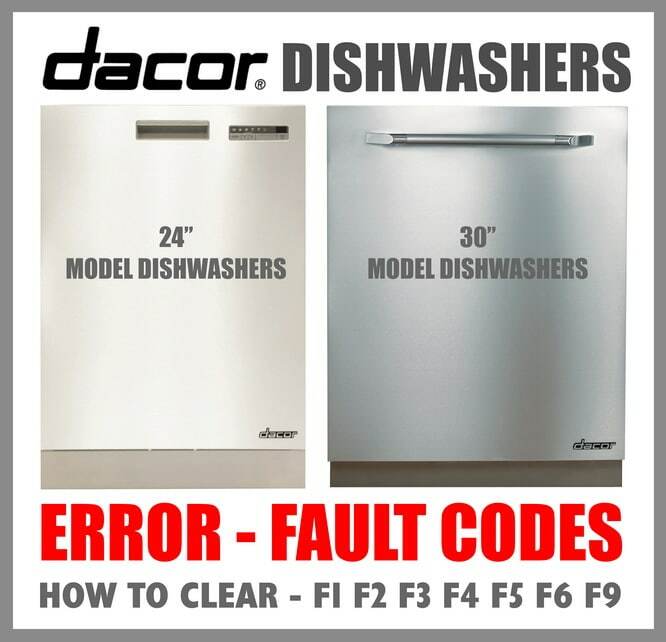 NOTE: There are different error codes for different Dacor dishwashers, be sure you are checking the model number of your dishwasher in conjunction with error code chart. The below error codes are for Dacor Model Dishwashers ID24, ED24SCH, ED24SCP, ED24SBK, ED24SBR, PD24, MDV24S and MDH24S. What To Check & How To Fix = Disconnect power to the dishwasher. If the dishwasher keeps filling with water then replace the water inlet valve. If the water stops filling when power is disconnected then replace the electronic control board. What To Check & How To Fix = If the water supply valve for the dishwasher is open and the dishwasher still fills with water, you need to turn the water supply off. Disconnect power to the dishwasher and disconnect the water fill line. Check to see if the filter screen in the water inlet valve is blocked with debris. If you find blockage in the filter then replace the water inlet valve. Be sure the wiring on the water inlet valve are not damaged and secure. 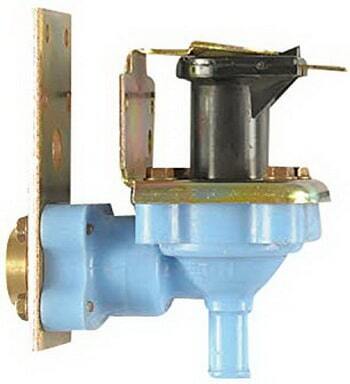 If the dishwasher water inlet valve does not open when the machine calls for water then replace the water inlet valve. What To Check & How To Fix = Disconnect power to the dishwasher. Remove the lower panel and check wire harnesses on the water pressure switch to be sure the connections are secure. If you find the wiring harness to be damaged then replace it. Replace the water pressure switch if you find the wire connections and wire harness to be in good condition. What To Check & How To Fix = Disconnect power to the dishwasher for 5 minutes to attempt to reset the control board. If error code F5 appears after restoring power then replace the control board. What To Check & How To Fix = Examine the inline flow through the heater. What To Check & How To Fix = Press the Cancel button 2 times to reset dishwasher. If the 3 long beeps and red light flashing error code is still present, check to see if there is a blockage in the sink drain. Disconnect power to the dishwasher and remove any blockages from the dishwasher drain hose and the drain pump. If the drain hose is damaged then replace it. If the drain pump is faulty then replace it. What To Check & How To Fix = Disconnect power to the dishwasher. Take the lower access panel off and check dishwasher components at bottom to find the water leak. Remove and replace any parts that are leaking. Remove any water that is in the base pan of the dishwasher. 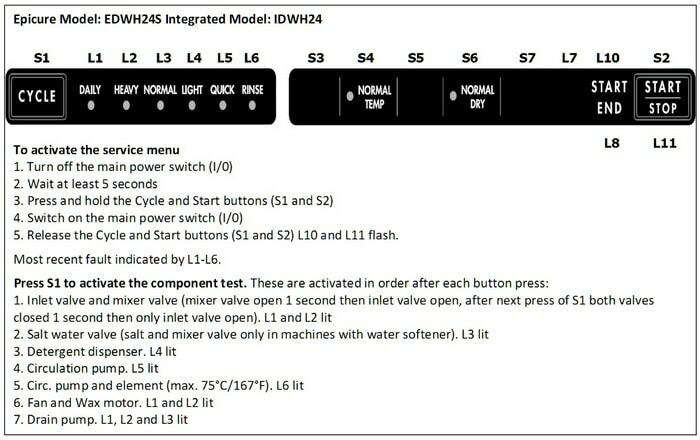 The error codes on this page are for Dacor dishwashers: DDWF24, IDW, ID24, ED24SCH, ED24SCP, ED24SBK, ED24SBR, PD24, MDV24S, MDH24S, ID30, ED30SCH, ED30SCP, ED30SBK & ED30SBR. (24″ and 30″ Models). 1. Press the SECURE key for three (3) seconds. Then press the SECURE key again for three (3) seconds to exit the secure mode. 2. 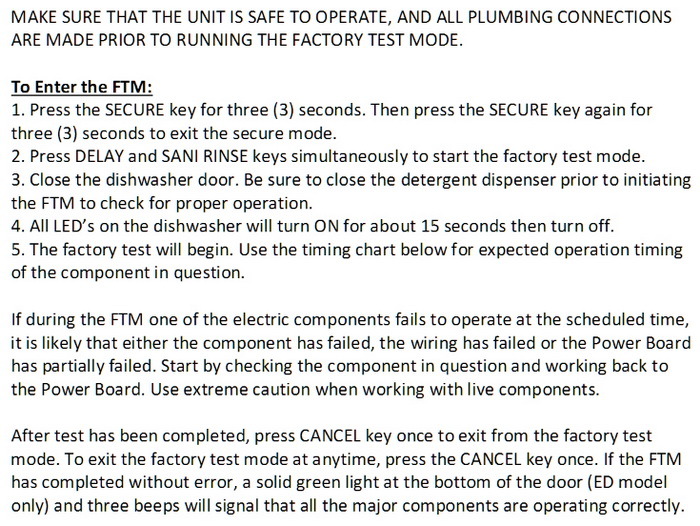 Press DELAY and SANI RINSE keys simultaneously to start the factory test mode. 3. Close the dishwasher door. Be sure to close the detergent dispenser prior to initiating the FTM to check for proper operation. 4. All LED’s on the dishwasher will turn ON for about 15 seconds then turn off. 5. The factory test will begin. Use the timing chart below for expected operation timing of the component in question. Dacor Dishwasher Factory Test Mode – How To? The Dacor Appliance Technical Diagnostic Quick Reference Guide is here in .pdf format. Need help with a Dacor Dishwasher? Please leave your question below and we will be happy to assist you. Previous post: Samsung Washing Machine Displays Error Code tE – How To Clear Error?